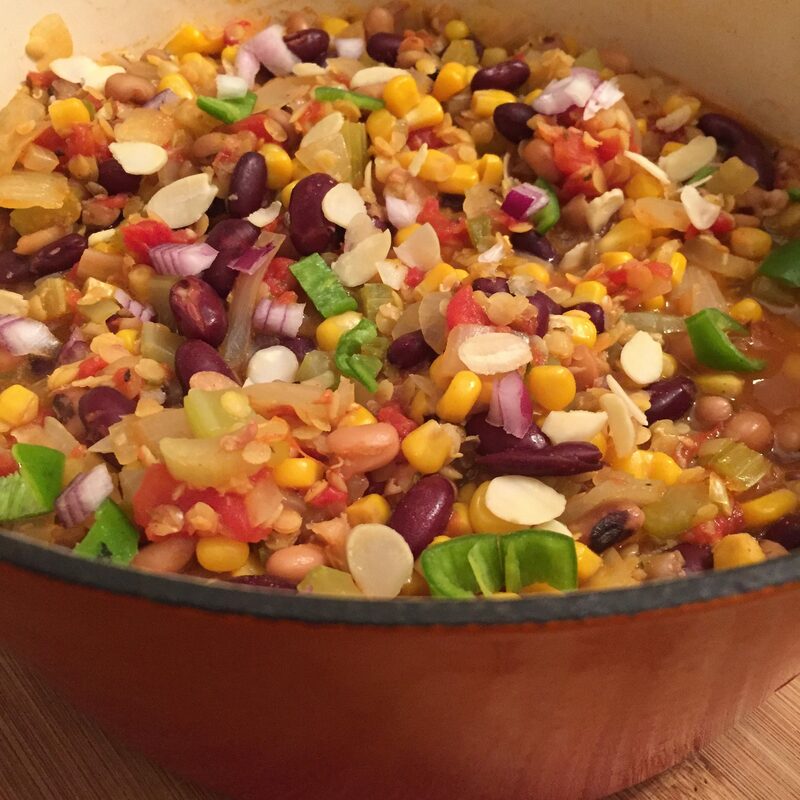 Our bean and lentil feast is an ideal family dinner that offers you 2-3 meals throughout the week. Served with either a jacket potato, fish, chicken or on its own, this super healthy and inexpensive feast truly is a warming winter favourite of LRG Fitness. Packed with goodness and a breeze to make, it comfortably makes our list of go to family favourites. There’s something about eating a healthy meal that makes you feel a little smug – this is no exception. Providing a fat-free high-quality protein, kidney beans along with black eyed beans are the standout in this healthy crowd of foods. In addition to lowering cholesterol, kidney beans’ high fibre content prevents blood sugar levels from rising too rapidly after a meal, making these beans a good choice for individuals with diabetes and insulin resistance. Black-eyed beans offer a welcome boost of vitamin A to maintain healthy skin and along with helping to lower blood pressure, these beans are a low fat, low calorie food. All of which makes for a healthy addition to any weight loss plan. The lentils are high in nutritional value and will take on all the wonderful flavours from the other foods and spices in the pot. Containing some of the highest protein levels from any plant, they can even hold their own against red meat, poultry and fish. Heat a large glug of olive oil in a casserole dish, sweat off the onions and garlic. Add cumin seeds and 1 x chilli along with the celery and cook off for 2-3 minutes. Add the plum tomatoes and cook for 5-7 minutes. Add the stock, sweetcorn, beans along with the lentils and slowly bring to the boil, stirring occasionally. Heavily season, reduce the heat, cover and simmer for 45-60 mins. Garnish with red onion and the remaining chilli. Add some flaked almonds to offer texture and crunch and serve alongside a dollop of sour cream. Enjoy!